DAVID LE/Staff photo. 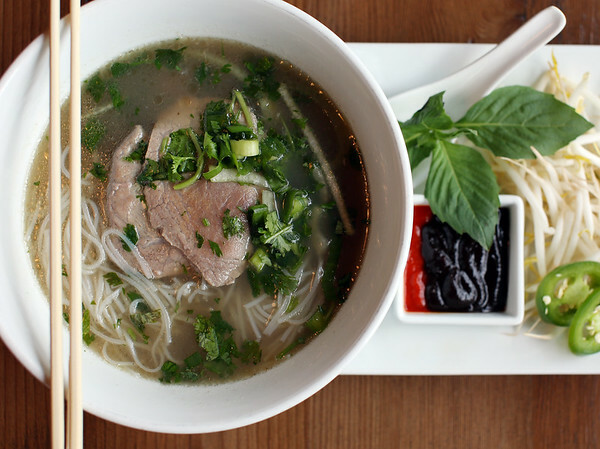 A staple of Vietnamese cuisine, the beef pho is perfect for a cold winter afternoon. Soall Bistro in Marblehead makes four kinds of pho among other delicious Vietnamese dishes. The thinly sliced beef cooks in the broth and is accompanied by bean sprouts, Thai basil, jalapeño slices, a lime wedge and a sriracha-hoisin sauce for additional spice. 10/9/15.